The woman in your Mom group just had a baby. A family friend just lost their Father. It’s in times like these that communities come together to take care of each other. Provide support, provide a meal, and simply be there to help. I remember when I had just had my first baby I wanted to tell everyone, if you are coming over to see the baby please bring FOOD! It was one job that I just couldn’t wrap my mind around with a newborn. The thought of cooking a meal for my family was just too overwhelming. But we all needed to eat, right!? Especially if you are caring and nursing a newborn around the clock. A great way to provide support to our friends and neighbors in need, in an ongoing and organized way, is by setting up a meal train. 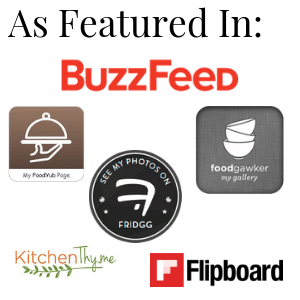 If you are not familiar with mealtrain.com it is a web site that allows you to create an online meal sign up for a family or person in need. You then email that sign up out to all the people that would like to help the family. Everyone signs up for a particular day to bring a dinner. The family receiving the meals can even note on mealtrain.com if they have allergies, how many people you should plan on feeding, and if they have strong food aversions or picky eaters (for example that would be fish and seafood for me). The other nice feature of using meatrain.com is that you can space it out so the family doesn’t have a fridge full of food one day and nothing the next week. 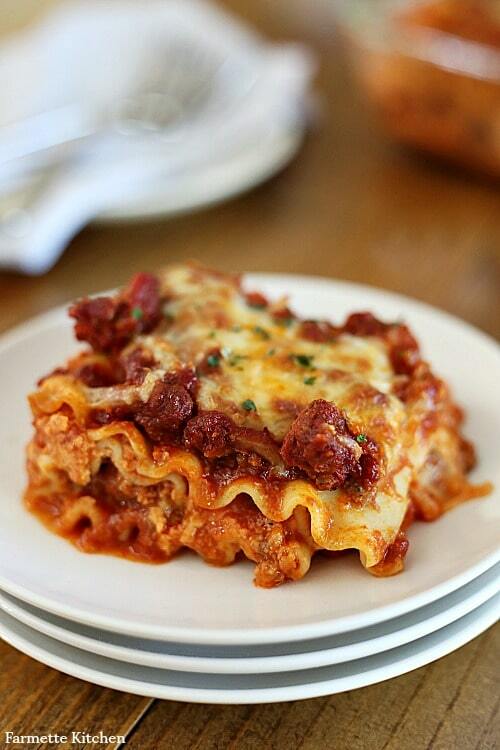 You can also see what other people are bringing, so the family doesn’t end up with lasagna three nights in a row! A family will appreciate any meal you bring, etiquette or not. I am not an etiquette expert, but I have participated in a meal train or two in my life! Take the food in containers that do not need to be returned to you… and make sure they know that! A great place to get cheap plastic containers or foil pans is the Dollar Store. Include reheating instructions. If the family is not eating the dinner that night provide cooking temps and time for easy meal prep when they are ready to eat the dinner you brought. It does not have to be a stand out gourmet dinner! 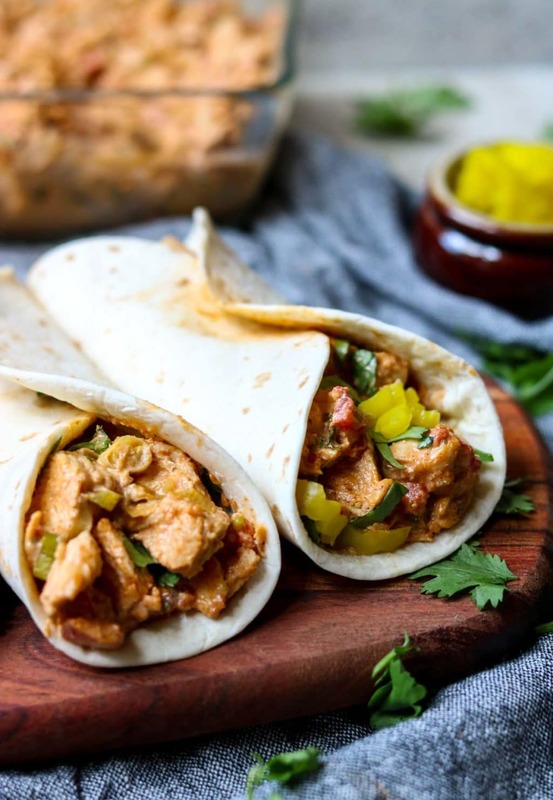 Take-out is totally acceptable if you are not comfortable in the kitchen… although some of the recipes below are SUPER easy. Try to keep the meal family friendly. This is not the time to try that spicy curry dish you saw in Bon Appetite! Keep it simple, like the recipes below. Be okay with the drop and go. Sometimes the families receiving the meal are not up for company and an hour long convo. It is not personal, it is just a product of the situation at hand. In this case, simply text or call the family with the exact time you will drop the dinner at their doorstep, and then shoot them a quick text and well wish after it is left at the door. Don’t forget the drinks! Especially if the family has kids, provide a few juice boxes to keep dinner really simple. If the adults enjoy wine I will usually pop a bottle or red or white in the box too. Don’t forget dessert! This does not need to be an over-the-top dessert. Some ideas would be bakery cookies, ice cream, Peppridge Farms Milano cookies, or grocery store bakery cupcakes. If you are paralyzed by the idea of making a dinner for another family then you are in the right place. 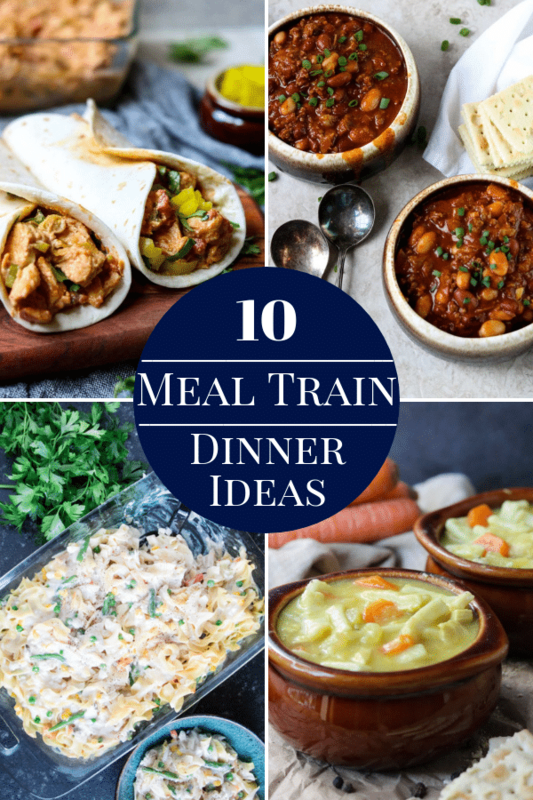 Here are 10 dinner ideas for that meal train you want to sign up for. If you know the family is not going to eat these chicken tacos night you are bringing it, no problem. Simply mix all the ingredients in a disposable foil baking pan and cover, uncooked. Make sure to write out the baking instructions for them. This is a super easy option if you are short on time! 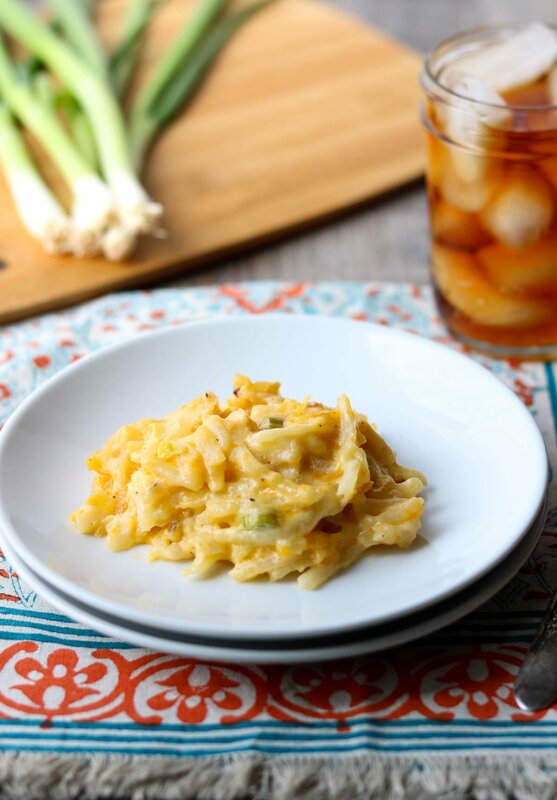 This cheesy potato casserole makes quite a bit, so you could even make it in two smaller pans and have one for your family and one to take to the meal train family. If the family is not going to eat this dinner right away, simply mix the cheesy potato casserole and place in a disposable foil pan, uncooked. Then write out the baking time and instructions. Buy a Rotisserie Chicken and cut the two breasts into slices, and remove the legs. Place all the pieces in a pan for easier serving. Grab a vegetable salad from your grocery deli. Like a 3 bean salad, or a broccoli salad. 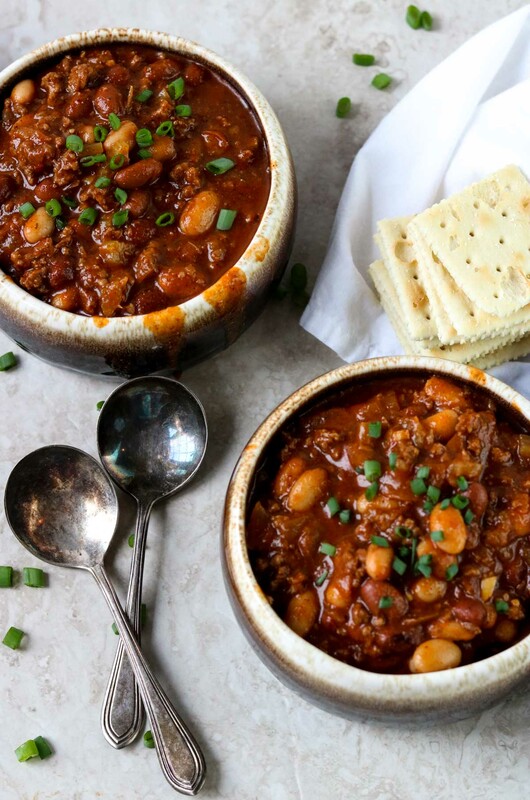 We all know Chili tastes better with time. So this is a great dinner for a meal train! If the family doesn’t get to it right away, no problem! This is comfort food at it’s finest. This is exactly what I would want if I had a meal train being delivered to my house. 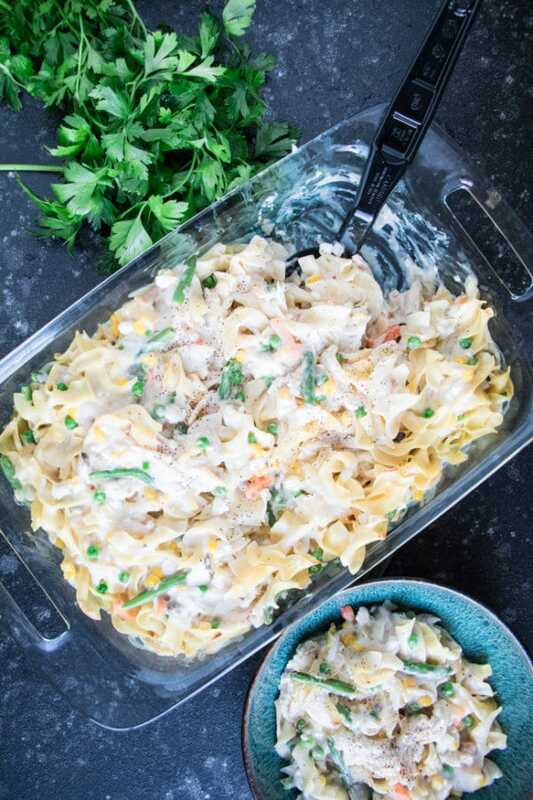 A creamy, carb-full casserole, with veggies and chicken! This recipe is baked with foil on and then finished with foil off for the last 5-10 minutes. I would cut that last 10 minutes down to 5 and then make sure you vent the pan when you take it to the family. You do not want to egg noodles to over cook during travel time! Breakfast for dinner is always a winner at my house! 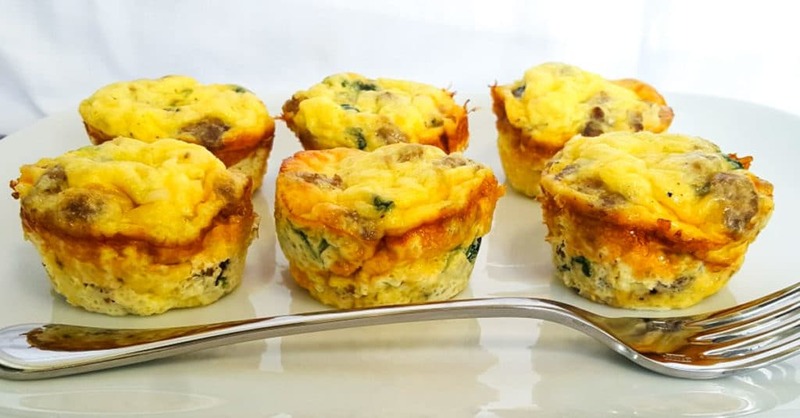 These Make Ahead Egg Cups are great to take for a meal train because you can make them ahead, pop them in the fridge and then reheat them before you take them to the family, or send them refrigerated with reheating instructions (which are included in my recipe). If you are taking these to a house with kids they are easily made kid-friendly. Simply pull some of the sausage out of the skillet before adding the spinach. I know my kids can be finicky about green stuff in their food. Then you can make a few cups that only have sausage, egg, and cheese in them. This is a little more labor intensive meal. 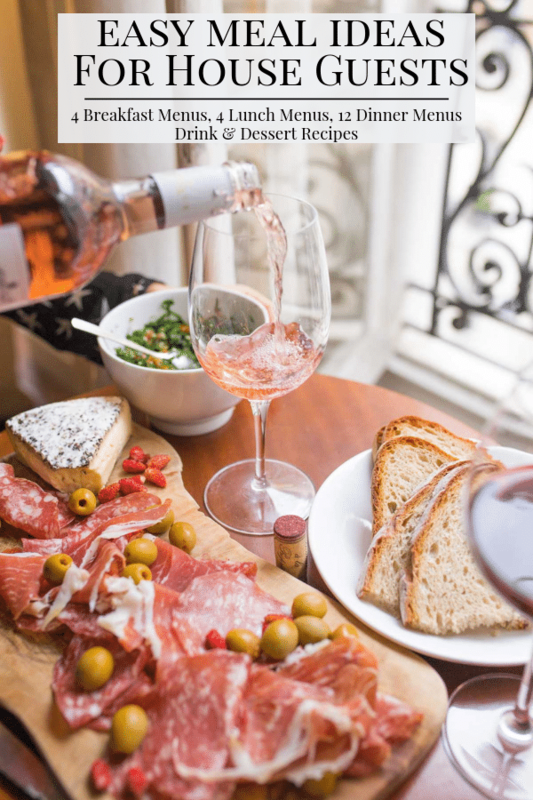 It is great to make if you have a little extra time or are taking dinner on the weekend. 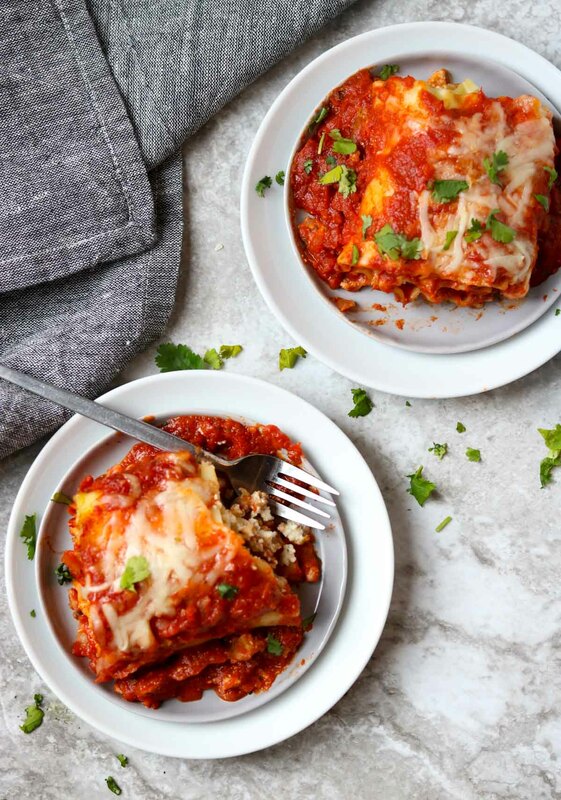 You can take this hot and ready to eat, or prep the lasagna roll ups in the pan and cover with foil, uncooked, and send the dish with cooking instructions. To make this option vegetarian simply replace the sausage with frozen spinach that has been thawed and completely pressed and drained of it’s liquid. 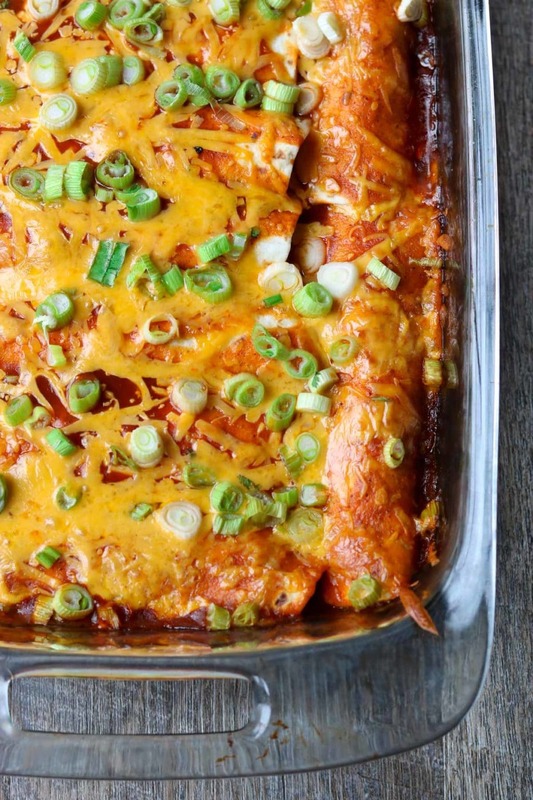 These truly are My Favorite Chicken Enchiladas. 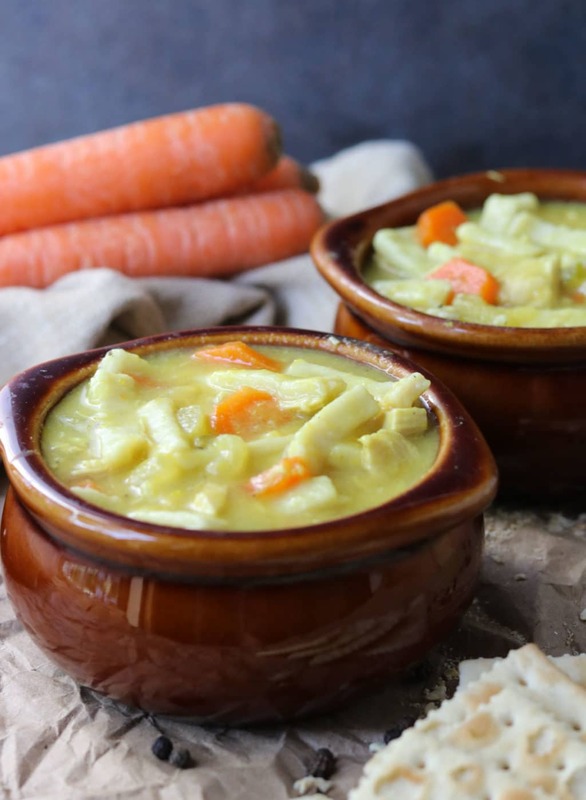 This is a great option for a meal train because I have yet to hear a bad review on this recipe! Don’t most people love Mexican food!? Maybe it’s just the people I choose to surround myself with? Black Beans or Pinto Beans flavored with salt, pepper, and cilantro, heated in a disposable foil pan. Chicken Noodle Soup always makes you feel better. It is what our Mom’s gave us when we were sick! This is another recipe that gets better with time. However, it can also tend to thicken as it sits in the fridge. So, I would recommend sending reheating instructions, they may want to add 1/2 cup of water or chicken broth to the soup to reconstitute. This is also a meal that I consider a one pot dinner. I wouldn’t send a lot of extra side dishes with this. It is pretty filling on it’s own. I will recommend some other items to send to fill the box. 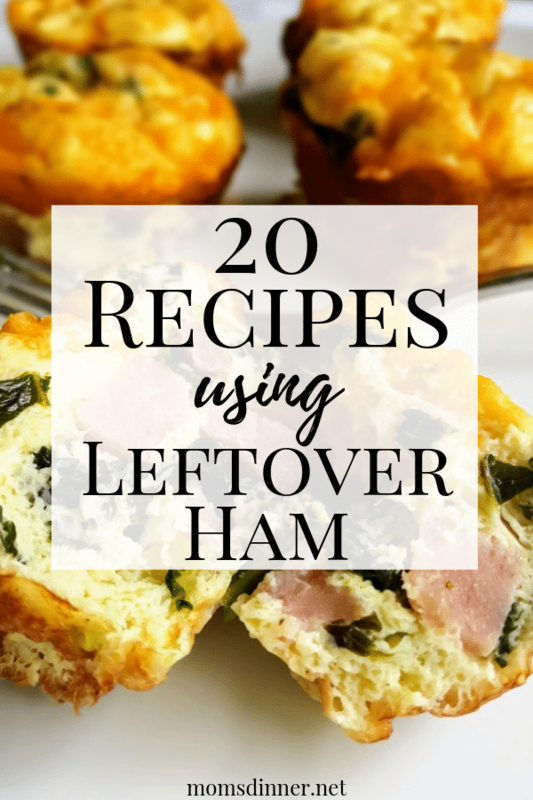 This is a great freezer friendly option if you are taking dinner to a family that will not eat the food for a week or two. There are freezing tips as well as reheating tips in this post. I think this is also a great option if there are kids in the family. This is a ricotta cheese free lasagna- great for picky eaters! Do not think that because you signed up for the meal train that it has to be some show stopping home-made-with-love type of meal. Most of the families that are receiving a meal train just need the FOOD! So if you are short on time or feel completely out of place in the kitchen, just grab take out from your favorite restaurant or a gift card to a restaurant near the families house. They will feel your love no matter what you show up with… as long as they can easily eat. SAVE THIS LIST FOR YOUR NEXT MEAL TRAIN. PIN IT HERE. Exactly….. just bring food!!! 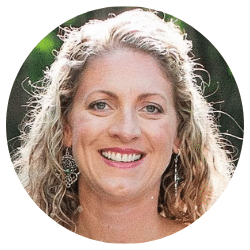 These are great recipes, for the giver and the receiver. Thanks for stopping by Mom’s Dinner!!! All of these sound so good! Thanks for including me! Yes! I love that your recipe was a freezer friendly recipe! Thank you! If you ever participate in a meal train I hope you will use this list.